The Credit Suisse study shows that pocket money is often the first way kids can practice money management. So what rules should be kept in mind and how much pocket money should children get? Five insights from our Credit Suisse pocket money study, and what Pro Juventute recommends on the subject. What principles do Swiss parents apply when it comes to financial education? The Credit Suisse pocket money study aimed to find out. More than 14,000 moms and dads were asked about topics such as savings, spending money, and handling pocket money. The results show that most Swiss parents feel pocket money is an essential part of financial education. We have summarized the results of the major Credit Suisse pocket money study below. When Should Kids Start Getting an Allowance? When it comes to pocket money, there is a clear difference among language regions: While most kids already get pocket money at the age of eight in German-speaking Switzerland, children in French-speaking Switzerland usually don't get an allowance until they enter secondary school. Surprisingly, alongside age, gender plays a role: Nearly one in two boys between the ages of five and seven get pocket money, but fewer than one in three girls do. Starting with one franc of pocket money per week is ideal for children entering school. The amount can be increased for each additional year of age. First, the money is paid weekly and then monthly from fifth grade. The important thing is to align the amount of pocket money with the family budget. Recommendations for pocket money amounts can be found at budgetberatung.ch. The mini gender gap: Nearly one in two boys between the ages of five and seven get pocket money, but fewer than one in three girls do. For What Should the Pocket Money Be Used? Pocket money is not for living expenses. The amounts are usually small and intended as a "perk." Six out of ten children can spend their pocket money as they wish and thus decide themselves what to buy. Parents should talk with their children about what the money will be used for. Pocket money is generally for personal wishes and fun things – not for the essentials. The family can decide what this means... a favorite comic book, candy from the corner store, or an ice cream at the pool? Parents can help their children decide. However, within the agreed rules, kids should be allowed to make their own decisions, even if these turn out to be the wrong ones. These are important learning experiences. However, other family rules apply no matter what: If candy after dinner is not allowed, the same goes for a chocolate bar purchased with pocket money. You can use the Digipigi Parents app to decide whether you want to transfer the pocket money online or pay it in cash – a practical, flexible way to pay pocket money. How Much Pocket Money Does the Average Swiss Child Get Every Month? Is Withholding Pocket Money a Suitable Form of Punishment? Very few parents make good behavior a requirement for receiving pocket money. Withholding an allowance is not considered an effective form of punishment, either. More often, parents will impose a computer or smartphone ban. Pocket money is an agreement made with the child. This agreement should never be broken, even if the child is misbehaving. Pocket money should be paid regularly and without having to be asked, and not used as a bribe for good behavior. What Should You Do If the Pocket Money Runs Out? Once children have spent all their pocket money, about half of Swiss parents remain firm and do not provide extra. Another one-fourth will supplement the pocket money but only under certain conditions. The parents who supplement the pocket money without any requirements generally do not place great emphasis on financial education. It is not advisable to supplement pocket money or provide an advance. 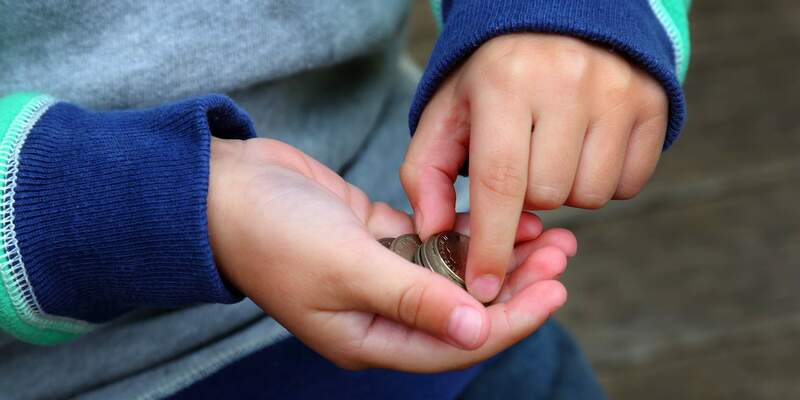 Generally, pocket money is not meant to cover "urgent needs," so it's not necessary to supplement pocket money or advance part of the next month's allowance. Once children have spent all their allowance, they will have to wait until next time. This will help them learn to manage their money better in the future. When starting to give pocket money, define the amount and purpose. Pay the pocket money regularly and without being asked. Do not provide additional pocket money in between; wait until the next "payday." Show interest in your child's wishes and talk about handling money sensibly, along with possible saving goals. Pay out pocket money weekly until the fourth grade, and then monthly starting with the fifth grade. From age 12, Pro Juventute recommends a monthly teens allowance. Parents always want the best for their children. This also involves providing for their financial future: for bigger needs, their studies, driving lessons, and to get them off to a good start in life. Find out what is important when saving for children and what options there are for parents, grandparents, and godparents. The boy next door who borrows money for admission to the swimming pool because he's forgotten his wallet, or a friend who needs money for the cinema: Debt quickly becomes a topic of conversation at the family dinner table. In his column, Daniel Betschart of the organization Pro Juventute explains what to focus on and how to raise children's awareness about debt. Pocket money, a gift at Christmas, or a five-franc coin for washing the car – children have money too. But what do parents need to bear in mind with regard to child's assets? What can the money be used for and from what age do children have full control over their assets?